Edible wedding favors. 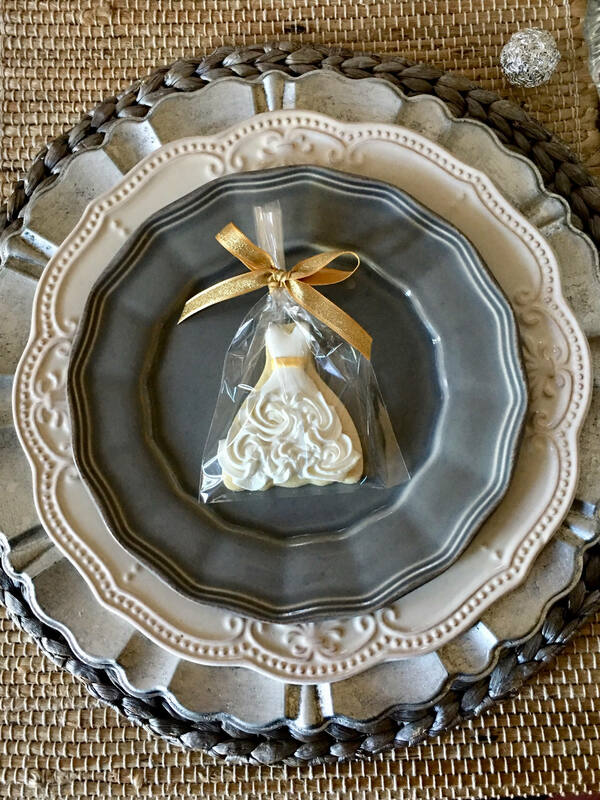 Petite wedding gown cookies with belt or sash accent in your theme color, 100 pieces. 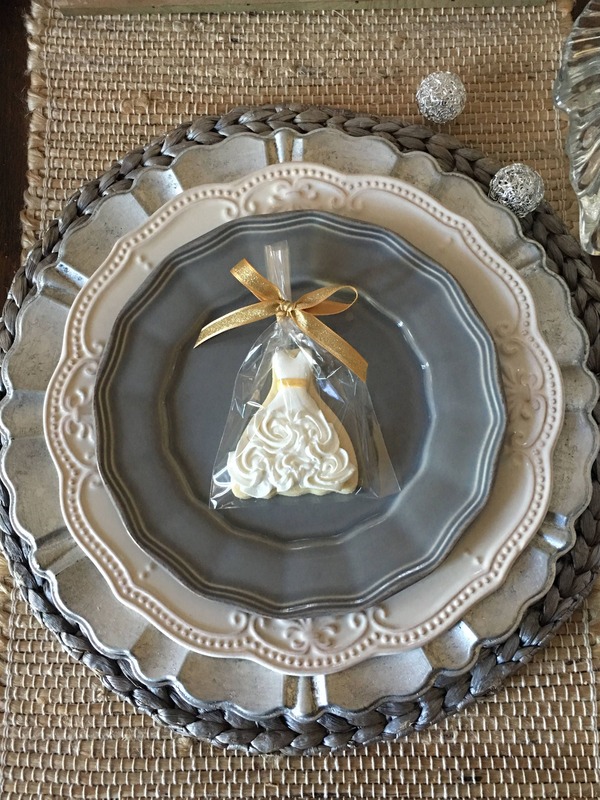 Great to give to the flower girls but may also be used as the wedding favor. The size is about 2.75” x 3”.